A free Child and Teen Checkup will make sure that your child is growing up healthy and strong. 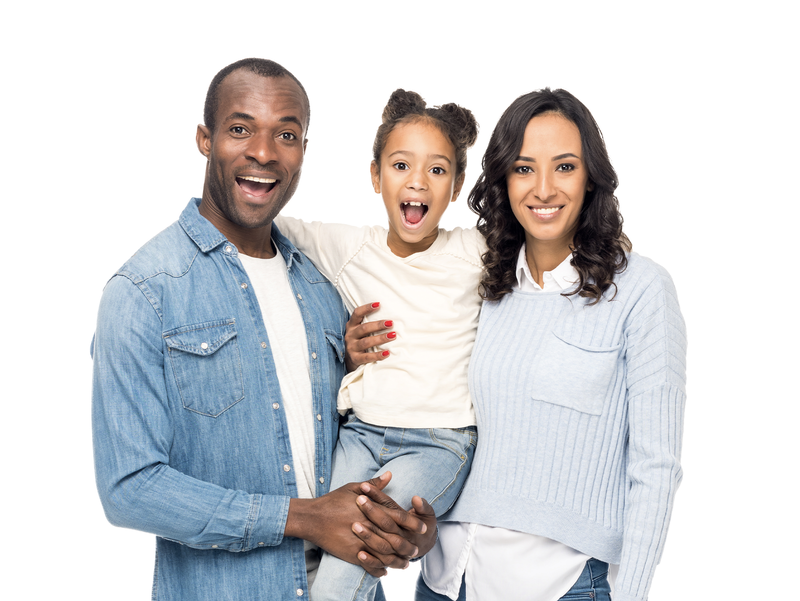 Child and Teen Checkups services are for young people who receive healthcare benefits through Medical Assistance, including independent teens and young adults up to age 21, as well as young parents. If you already have a clinic, call to schedule your free annual checkup. If you don’t have a clinic yet, let’s start by figuring out what kind of healthcare coverage you have. Which of the below either sounds familiar or fits you? If you're not sure of your healthcare coverage, scroll down to the help section to select your country or tribe. If you have Medical Assistance (Medicaid), scroll down to the help section to select your country or tribe. Contact Blue Plus at 1-800-711-9862 or bluecrossmn.com about scheduling, services, clinics or any other questions you may have. Contact Essentia Health at 1-844-663-1068 or essentiahealth.org about scheduling, services, clinics or any other questions you may have. Contact HealthPartners at 1-866-885-8880 or healthpartners.com about scheduling, services, clinics or any other questions you may have. Contact Hennepin Health at 1-800-647-0550 or hennepinhealth.org about scheduling, services, clinics or any other questions you may have. Contact Itasca Medical Care at 1-800-843-9536 or imcare.org about scheduling, services, clinics or any other questions you may have. Contact Prime West at 1-866-431-0801 or primewest.org about scheduling, services, clinics or any other questions you may have. Contact SCHA at 1-866-567-7242 or mnscha.org about scheduling, services, clinics or any other questions you may have. Contact UCare at 1-800-203-7225 or ucare.org about scheduling, services, clinics or any other questions you may have. if my child is eligible? If you're not sure of your healthcare coverage, scroll down to the next section to select your country or tribe. If you have Medical Assistance (Medicaid), scroll down to the next section to select your country or tribe. Waan ku hadalnaa afka Somaliga. Contact Stacey Durgin (218-927-7224) in Aitkin County about scheduling, services, clinics or other questions you may have. Contact Holly Haney (763-324-4280) in Anoka County about scheduling, services, clinics or other questions you may have. Contact Diane Kuehne (218-847-5628) in Becker County about scheduling, services, clinics or other questions you may have. Contact Dorothy Walton (218-333-8155) in Beltrami County about scheduling, services, clinics or other questions you may have. Contact Gina Rajkowski (320-968-5281) in Beltrami County about scheduling, services, clinics or other questions you may have. Contact David Bothun (320-598-7313) in Big Stone County about scheduling, services, clinics or other questions you may have. Contact Cierra Thibert (507-304-4178) in Blue Earth County about scheduling, services, clinics or other questions you may have. Contact Teresa Severson (507-233-6814) in Brown County about scheduling, services, clinics or other questions you may have. Contact Mary Jo Hill (218-878-2848) in Carlton County about scheduling, services, clinics or other questions you may have. Contact Kelly Voelker (952-361-1329) in Carver County about scheduling, services, clinics or other questions you may have. Contact Renee Lukkason (218-547-1340,209) in Cass County about scheduling, services, clinics or other questions you may have. Contact David Bothun (320-598-7313) in Chippewa County about scheduling, services, clinics or other questions you may have. Contact Jenny Schmidt (651-213-5235) in Chisago County about scheduling, services, clinics or other questions you may have. Contact Kelsie Tucholke (218-299-5063) in Clay County about scheduling, services, clinics or other questions you may have. Contact Terri Nelson (218-694-6581) in Clearwater County about scheduling, services, clinics or other questions you may have. Contact Joni Kristenson (218-387-3605) in Cook County about scheduling, services, clinics or other questions you may have. Contact Kelsey Andrews (507-847-2366) in Cottonwood County about scheduling, services, clinics or other questions you may have. Contact Denise Sjodin (218-824-1075) in Crow Wing County about scheduling, services, clinics or other questions you may have. Contact Sharon Diedrich (952-891-7582) in Dakota County about scheduling, services, clinics or other questions you may have. Contact Kristin Cerda (507-635-6150) in Dodge County about scheduling, services, clinics or other questions you may have. Contact Patty Hobbs (320-763-6062) in Douglas County about scheduling, services, clinics or other questions you may have. Contact Nancy Nordstrom (507-238-4757) in Fairbault County about scheduling, services, clinics or other questions you may have. Contact Kathy Thiss (507-765-3511) in Fillmore County about scheduling, services, clinics or other questions you may have. Contact Michelle Severtson (507-377-5100) in Freeborn County about scheduling, services, clinics or other questions you may have. Contact Jane Schwartau (651-385-6145) in Goodhue County about scheduling, services, clinics or other questions you may have. Contact Patty Hobbs (320-763-6062) in Grant County about scheduling, services, clinics or other questions you may have. Contact Hennepin County (612-348-5131) in Hennepin County about scheduling, services, clinics or other questions you may have. Contact Mary Zaffke (507-725-5810) in Houston County about scheduling, services, clinics or other questions you may have. Contact Sandy Henry (218-237-5478) in Hubbard County about scheduling, services, clinics or other questions you may have. Contact Joan Schleicher (763-689-4071) in Isanti County about scheduling, services, clinics or other questions you may have. Contact Naesa Myers (218-327-5524) in Itasca County about scheduling, services, clinics or other questions you may have. Contact Kelsey Andrews (507-847-2366) in Jackson County about scheduling, services, clinics or other questions you may have. Contact Elsa Ring (320-515-1777) in Kanabec County about scheduling, services, clinics or other questions you may have. Contact BobbiJo Berg (320-231-7800) in Kandiyohi County about scheduling, services, clinics or other questions you may have. Contact Chelsea Hjelle (218-843-3662) in Kittson County about scheduling, services, clinics or other questions you may have. Contact Deb Larson (218-283-7043) in Koochiching County about scheduling, services, clinics or other questions you may have. Contact David Bothun (320-598-7313) in Lac qui Parle County about scheduling, services, clinics or other questions you may have. Contact Joann Cox (218-834-8434) in Lake County about scheduling, services, clinics or other questions you may have. Contact Marla Carlson (218-634-1795) in Lake of the Woods County about scheduling, services, clinics or other questions you may have. Contact Elisa O'Malley (507-357-8246) in Le Sueur County about scheduling, services, clinics or other questions you may have. Contact Michelle Schuelke (507-532-1275) in Lincoln County about scheduling, services, clinics or other questions you may have. Contact Michelle Schuelke (507-532-1275) in Lyon County about scheduling, services, clinics or other questions you may have. Contact Kristy Rott (218-784-5429) in Mahnomen County about scheduling, services, clinics or other questions you may have. Contact Ashley Fredrickson (218-745-5154) in Marshall County about scheduling, services, clinics or other questions you may have. Contact Nancy Nordstrom (507-238-4757) in Martin County about scheduling, services, clinics or other questions you may have. Contact Barb Oberlin (320-864-1736) in McLeod County about scheduling, services, clinics or other questions you may have. Contact Jenny Crowe (320-693-5394) in Meeker County about scheduling, services, clinics or other questions you may have. Contact Kristine Klopp (320-983-8373) in Mille Lacs County about scheduling, services, clinics or other questions you may have. Contact Karen Athman (320-632-0356) in Morrison County about scheduling, services, clinics or other questions you may have. Contact Jane Knutson (507-437-9777) in Mower County about scheduling, services, clinics or other questions you may have. Contact Michelle Schuelke (507-532-1275) in Murray County about scheduling, services, clinics or other questions you may have. Contact Linda Kraus-Waggie (507-934-7229) in Nicollet County about scheduling, services, clinics or other questions you may have. Contact Michelle Ebbers (507-295-5286) in Nobles County about scheduling, services, clinics or other questions you may have. Contact Kristy Rott (218-784-5429) in Norman County about scheduling, services, clinics or other questions you may have. Contact Joan Kotschevar (507-328-7458) in Olmsted County about scheduling, services, clinics or other questions you may have. Contact Kathy Hendrickx (218-385-5505) in Otter Tail County about scheduling, services, clinics or other questions you may have. Contact Anita Cardinal (218-874-7845) in Pennington County about scheduling, services, clinics or other questions you may have. Contact Stephanie Larson (320-591-1597) in Pine County about scheduling, services, clinics or other questions you may have. Contact Michelle Schuelke (507-532-1275) in Pipestone County about scheduling, services, clinics or other questions you may have. Contact Codi Lehmann (218-281-3385,2222) in Polk County about scheduling, services, clinics or other questions you may have. Contact Patty Hobbs (320-763-6062) in Pope County about scheduling, services, clinics or other questions you may have. Contact Rolando Vera (651-266-2420) in Ramsey County about scheduling, services, clinics or other questions you may have. Contact Anita Cardinal (218-874-7845) in Red Lake County about scheduling, services, clinics or other questions you may have. Contact Alicia Eliason (507-532-1332) in Redwood County about scheduling, services, clinics or other questions you may have. Contact Barb Billmeier (320-523-3725) in Renville County about scheduling, services, clinics or other questions you may have. Contact Susan Prieve (507-332-5916) in Rice County about scheduling, services, clinics or other questions you may have. Contact Alicia Eliason (507-532-1332) in Rock County about scheduling, services, clinics or other questions you may have. Contact Joann Lambrides (218-463-3211) in Roseau County about scheduling, services, clinics or other questions you may have. Contact Alicia Brambila (952-496-8587) in Scott County about scheduling, services, clinics or other questions you may have. Contact Kristen Sanders (763-765-4118) in Sherburne County about scheduling, services, clinics or other questions you may have. Contact Whitney Wiethoff (507-237-4018) in Sibley County about scheduling, services, clinics or other questions you may have. Contact Sarah Lehrke (218-725-5275) in St. Louis County about scheduling, services, clinics or other questions you may have. Contact Melissa Godwin (320-203-6942) in Stearns County about scheduling, services, clinics or other questions you may have. Contact Christine Hoffmann (507-444-7656) in Steele County about scheduling, services, clinics or other questions you may have. Contact Patty Hobbs (320-763-6062) in Stevens County about scheduling, services, clinics or other questions you may have. Contact David Bothun (320-598-7313) in Swift County about scheduling, services, clinics or other questions you may have. Contact Stephanie Mitzel (320-732-4447) in Todd County about scheduling, services, clinics or other questions you may have. Contact Patty Hobbs (320-763-6062) in Traverse County about scheduling, services, clinics or other questions you may have. Contact Amber Reidt (651-565-5200) in Wabasha County about scheduling, services, clinics or other questions you may have. Contact Julie Sibert (218-631-7629) in Wadena County about scheduling, services, clinics or other questions you may have. Contact Tiffany Stenzel (507-835-0646) in Waseca County about scheduling, services, clinics or other questions you may have. Contact Washington County (651-430-6750) in Washington County about scheduling, services, clinics or other questions you may have. Contact Michele Johnson (507-375-3294,7865) in Watonwan County about scheduling, services, clinics or other questions you may have. Contact Ashley Wiertzema (218-643-7122) in Wilkin County about scheduling, services, clinics or other questions you may have. Contact Betsy Zeller (507-457-6424) in Winona County about scheduling, services, clinics or other questions you may have. Contact Valerie Stoll (763-682-7491) in Wright County about scheduling, services, clinics or other questions you may have. Contact David Bothun (320-598-7313) in Yellow Medicine County about scheduling, services, clinics or other questions you may have. If you're part of the Fond du Lac Tribal Nation, please contact Celeste Ekberg (218-878-3705)about any questions you may have. If you're part of the Leech Lake Band of Ojibwe Tribal Nation, please contact Meghan Paquette (218-308-3825)about any questions you may have. If you're part of the Red Lake Chippewa Tribal Nation, please contact Laurel Lussier (218-679-0150)about any questions you may have. If you're part of the White Earth Band of Ojibwe Tribal Nation, please contact Bryanna Chilton (218-983-3286)about any questions you may have. Website terms and policy information may be accessed here.